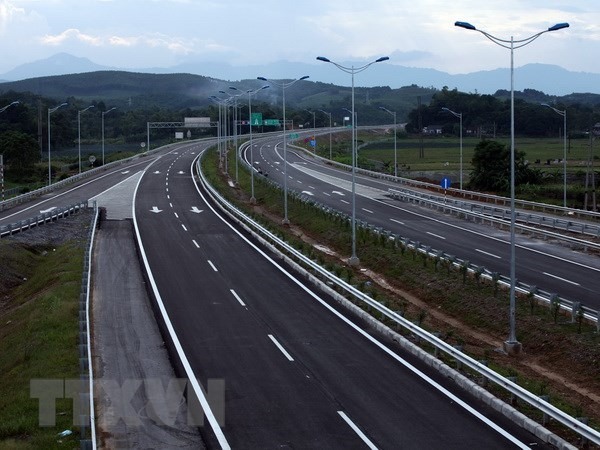 HÀ NỘI – Amidst the current financial constraints, the continuing mobilisation of financial resources from non-state sectors for transport infrastructure development is necessary, according to experts. In recent years, the Government and Ministry of Transport have made positive and dynamic changes to create a clear and transparent legal framework for investment projects, under the public-private-partnership (PPP) programme. However, shortcomings and limitations still remain, said Trần Du Lịch, a member of the Prime Minister’s Economic Advisory Group. A supervisory report of the Standing Committee of the National Assembly has indicated that the legal basis for investment in PPP and Build-Operate and transfer (BOT) contracts was not complete. It also showed ineffective coordination in removing difficulties in the execution process, and weakness of State agencies in management of BOT projects. The control over the construction investment process to exploit and use was not tight enough, the report said. State agencies need to conduct research, as well as receive practical experience through projects, in order to quickly complete policies and regulations to remove "bottlenecks" for BOT projects, Lịch said. According to Dr Trần Chủng, former head of the Construction Quality Control Department under the MoT, besides the needed professionalism, financial capacity and strict law enforcement of investors, one of the big bottlenecks to be first solved was the need to quickly complete regulations, policies and mechanisms for PPP to create momentum for enterprises operating in this field to develop, bringing high socio-economic benefits. Analyzing these limitations, he said that the decrees and circulars stipulated in the construction law were no longer suitable to the reality, while the regulations on PPP projects have not been completed yet. Therefore, the application of regulations and policies for PPP projects over the past years encountered many obstacles. Meanwhile, the monitoring mechanism, as well as the sanction of both state authorities and investors, was not tight enough or fair, he said. Under the PPP mode, state management agencies and investors have equal rights and interests that are issued in economic contracts. However, there were still regulations that force investors to adjust and change their projects in accordance with government documents and regulations, affecting the finances, progress and causing losses to investors, he added. Discussing this situation, Lưu Xuân Thủy, deputy general director of Đèo Cả Investment Joint Stock Company, also said that besides the transparency of the legal framework and the State agencies’ strict management, many regulations and documents from the State agencies still existed that were not proper in today’s reality. And the amendments to those regulations were still very slow, causing many difficulties for the implementation of projects, resulting in the impact on the progress of projects, financial losses, as well as the interests of enterprises. The head of the Legal Department of the Việt Nam Chamber of Commerce and Industry (VCCI), Đậu Anh Tuấn, said to attract capital into transport BOT projects, state agencies needed to come up with a scientific and accurate calculation of investments needed to ensure harmony between the State’s interests, investors and users. The Ministry of Transport (MoT) has reported that it needs very large amounts of capital, over US$44.4 billion, for transport infrastructure development in the 2016-20 period, though the budget allocations by the central Government are insignificant. So mobilisation of financial resources from non-state sectors for transport infrastructure development was needed because PPP projects usually require a large amount of investment and a long loan period, especially for BOT transport projects, Dr Trần Chủng said. However, the financial capacity of many local credit units was limited, affecting the process of raising capital for BOT projects.